When people think about wine tasting, most think of fancy chateaus and four-digit price tags, not budget travel. We’re here to say this is not always the case, especially in South America. In our opinion, Argentina’s wines offer one of the best cost-to-value ratios around, and budget-savvy travelers can taste tons of delicious wine for very few pesos. Inflation is on the rise in Argentina, though, so take advantage while prices are still low. 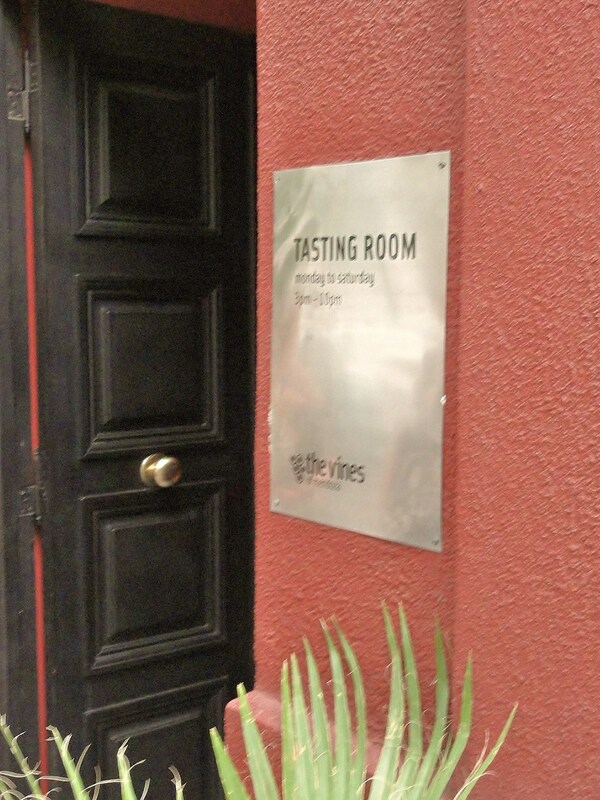 The Vines tasting room is located right around the corner from the Park Hyatt and every Wednesday at 7pm they host a winemaker tasting for just $40 AR. We recommend making a reservation as this fills up quickly, but it's an invaluable opportunity to taste, talk and evaluate unique wine with different winemakers. Each tasting offers about four different wines to taste and light crackers to cleanse the palate in between. Our favorite 'Vines event' though is on Thursday nights at 9pm. The Vines of Mendoza Wine Bar located inside the Park Hyatt hosts an evening of tasting and tapas, and features some of the best boutique wineries in Mendoza. It cost $55AR each and included full glasses of two or three wines and heavy tapas. When we went, Pulenta Estate poured a 2010 Malbec Rose and a 2007 Cabernet Sauvignon. The restaurant paired the tapas perfectly and served up smoked tomato and prawn penne, mashed sweet potatoes with veal, eggplant and zucchini bruschetta and a lightly fried trout with aioli. Pretty much, you won't find any other place in Mendoza that fills you up and includes two tastes of wine for $55 AR (unless you really like empanadas). In Argentina it's really difficult to get imported wines, so in an effort to expand their own palates and pump-up the wine scene in Mendoza, Myfawny and Adam of Mendoza Wine Camp also started Mendoza Wine Exchange. In this program, foreign visitors bring one good bottle of wine from anywhere outside Argentina, and then when they arrive, they exchange it for one good bottle of wine from Argentina. Also, when you meet Myfawny or Adam, ask them about the next group wine tasting. Many of the young Ex-Pats who've come to Mendoza to work in the wine industry have formed a wine tasting group. It's super casual and the times, dates and prices depend on who and how many people RSVP. Both times we went we only paid $20 AR, tasted 6 wines and it lasted about 2 hours. Both are fantastic, inexpensive ways to meet people, taste both Argentine and foreign wines, and get involved in the grassroots wine enlightenment happening here in Mendoza! Chacras is a beautiful little suburb of Mendoza City and taking the bus to center of town is a great way to spend a day. Its costs just $1.80 AR for the ride to Plaza de Chacras, and from there it's easy to walk to a few wineries, restaurants, bars and shops. The Plaza is a great place to eat a relaxing lunch, people watch and take pictures. A must visit in Lujan de Cuyo, even if it takes you a while to find. It's unmarked, but look for a tall, white, flat-roofed building just past Luigi Bosca on the main road in downtown Lujan. We couldn't find any way to contact this place ahead of time to make a reservation, so we just took the bus to central Lujan de Cuyo and walked in. Thankfully reservations aren't required and Carmelo himself greeted us with a Argentine kiss, showed us some of his recent press and gave us a tasting. He is a one-man show and speaks only in Spanish, but he makes you feel like family and is a very happy host. I'm not sure whether there's a set tasting fee, but we just followed Carmelo's lead and had a great time. Supposedly larger than Central Park in New York, this is the perfect spot for spending lots of time outside and costs nothing. There's workout equipment in one grassy area, plenty of open fields for picnicking or kicking around the fútbol, a packed-dirt track for running, cafes, a kids park with carousel and playground equipment, and even a man-made lake where we watched a jet-ski race! There are two really posh sports clubs within the park, but they require memberships to use the facilities, so I wouldn't recommend them. We found another sports club though that offered day passes, and while not as fancy, it had everything we wanted. Visitors can rent tennis courts and paddles for about $30AR, or even full and half sized soccer fields from $150AR. Their facilities are available both during the day and after dark, so lots of people play nighttime fútbol games with lights...how cool is that!? A biking wine tour in Maipu is something everyone MUST experience while in Mendoza. The tours are self-guided, but the company usually takes care of the transportation to and from Maipu, and makes sure bikers go to cycle-friendly areas. After seeing Argentine drivers, you'll be glad to have this base covered! There are a lot of companies that offer these services, but we think Mr. Hugo is the best. It is a family owned bike rental shop run by Mr. Hugo, his wife, and their daughter who speaks English (big bonus!). Before you set off, they give you a map of Maipu, ice-cold water and a bike. Then when you return, they serve empanadas for about 2 pesos each and homemade wine. They even help you with coins (monedas) for the bus! This is a big deal since the busses do not accept cards or bills, and most people and businesses hold onto their coins for dear life. * Note: When biking try to skip the main roads as there are a lot of trucks!